​​​ RICHARDSON – The University of Texas at Dallas' UT Design program has expanded its space at a campus-adjacent office complex in Richardson to accommodate a design studio for its senior engineering students. The university program signed a lease totaling 169,136 sf of office space at Synergy Park at 3000 Waterview Pkwy. in Richardson with GI Partners, which is managing a real estate fund that owns the complex. 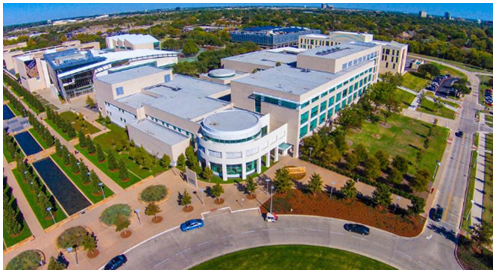 The 300,820-sf Tier III data center and office complex is also leased to ViaWest and the University of Texas Southwestern Medical Center. At the time of the acquisition, Synergy Park had an in-place occupancy of 74 percent. ​Want more data​? See DFW Office Market Research.